This polo from ADIDAS is a team issued sideline Coaches Series polo shirt in silver grey. 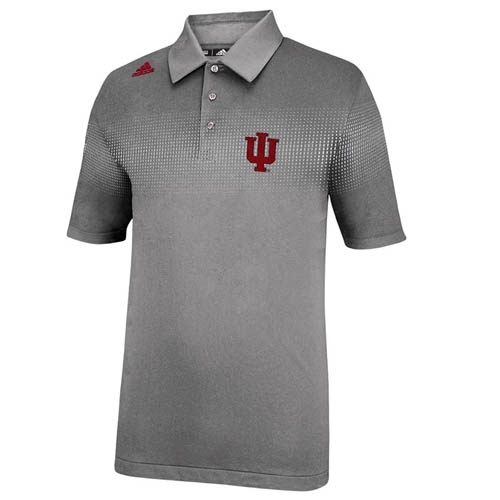 This is a lightweight 82% polyester - 18% spandex with UV protection built into the fabric. 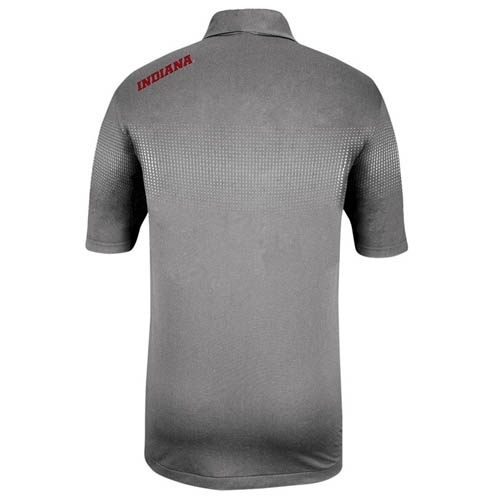 There is a woven applique IU logo is over the left chest with INDIANA embroidered on back left shoulder. There is a jacquard contrast texture pattern over the chest. 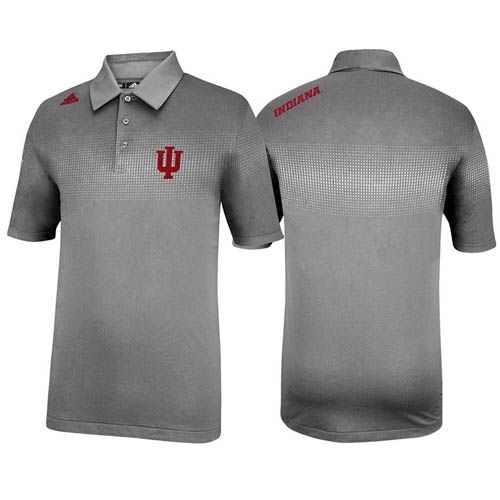 This is the right polo to take you from work right to the golf course.